Buying and selling coffee beans and exquisite blends? 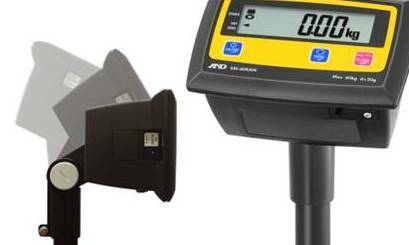 Your business stands to benefit from durable coffee scales that are accurate and reliable. Our range of coffee scales is extensive and you can find a model that is most suited to your requirements. Just a few of the coffee scales we stock include compact check weighing scales and standard bench scales. We also stock parcel scales with a rotating indicator, making it easy to use even with space constraints. If you work with items that aren’t typically dry whilst being measured, we offer a range of dust proof and water proof coffee scales that you can opt for, ensuring you select scales that suit the environment you need to use them in. Contact us today to find bench scales, platform scales and other equipment that are durable and accurate, making them nothing short of an asset to your business. ***INCREDIBLE PRICES*** EM Series - this value parcel scale provides high accuracy and durability. Exceptional user friendly rotating/tilting indicator with clearly visible white backlight display. Battery powered and optional data or control outputs available. NOT SUITABLE FOR USE AS NMI TRADE APPROVED SCALES. Bench mount or floor mount range of exceptional value platform scales. A choice of AC or Battery power operation. Optional data and control outputs available. The SE provides the third level of protection in wet areas at an affordable price. The SE Warrior scale features a painted mild steel frame and column, an epoxy treated load cell and a stainless steel platform. Easy to use and easy to clean. 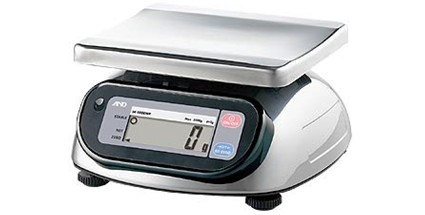 A&D’s stainless steel waterproof scales are ideal for bench tops and are approved for trade use. 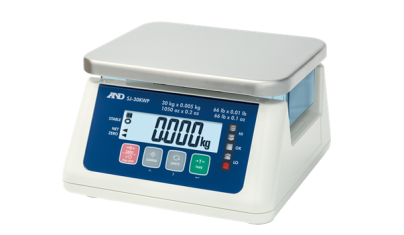 These scales are available in capacities ranging from 1kg to 20kg, with increments from 0.5g to 10g. At first glance, you will notice that the SJ-WP series looks remarkably different from other digital scales you may have come across before. With this unique construction, A&D offers a number of innovations that ensures the highest level of protection in weight measurement.